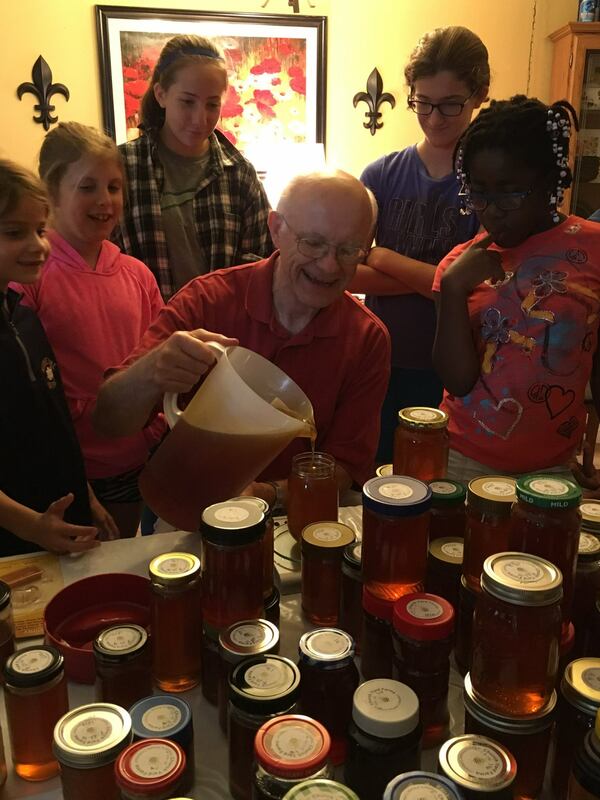 On a sunny but chilly Saturday morning this Fall, 12 girls aged 7 to11 and their leaders from the South Bend branch carpooled to Ken and Pam Peterson’s home where they were warmly greeted by Mr. and Mrs. Peterson and their dog Bailey. 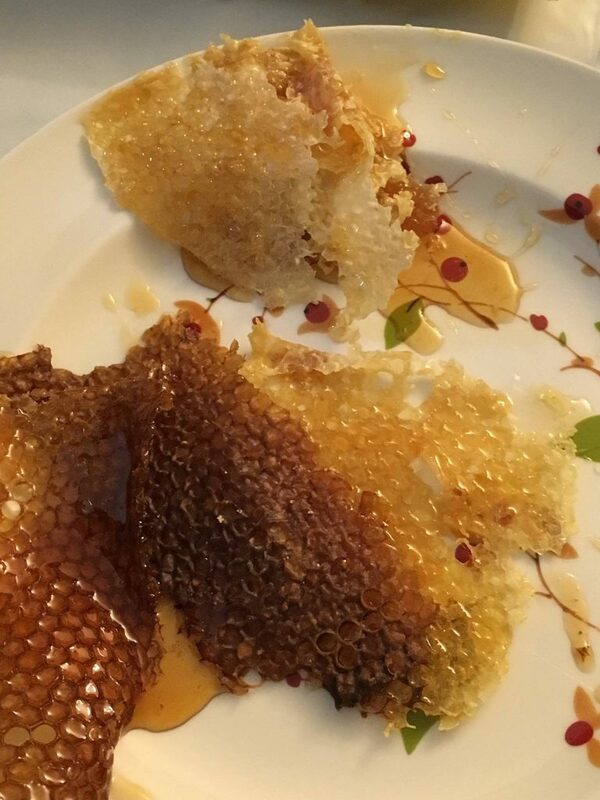 The girls were ushered into a fragrant and somewhat stuffy room off the Petersons’ kitchen where they crowded around a table laden with close to a hundred pounds of honey in jars of every shape and size. The only uniform thing about the jars was their amber color and the round white label bearing the name Church Yard Farms affixed to each lid. The jars of translucent honey seemed to glow as they captured the light that was flooding in through a nearby window. 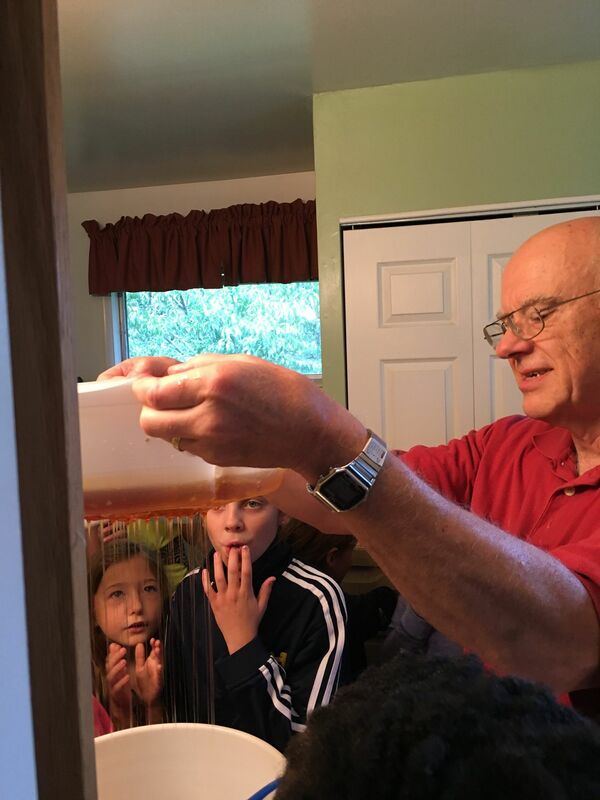 Reverend Peterson, a saintly looking, retired Lutheran pastor had sort of stumbled upon the hobby of beekeeping after retirement when his son’s neighbor casually mentioned that his trees had never been so fruitful as when another neighbor was keeping bees. Of course (Mr. Peterson had an epiphany)! Fruit is produced when birds, bees, and to a lesser extent, the wind, carry pollen from one flower to another. So, one reasons, the more bees you have around, the more fruit you will get! 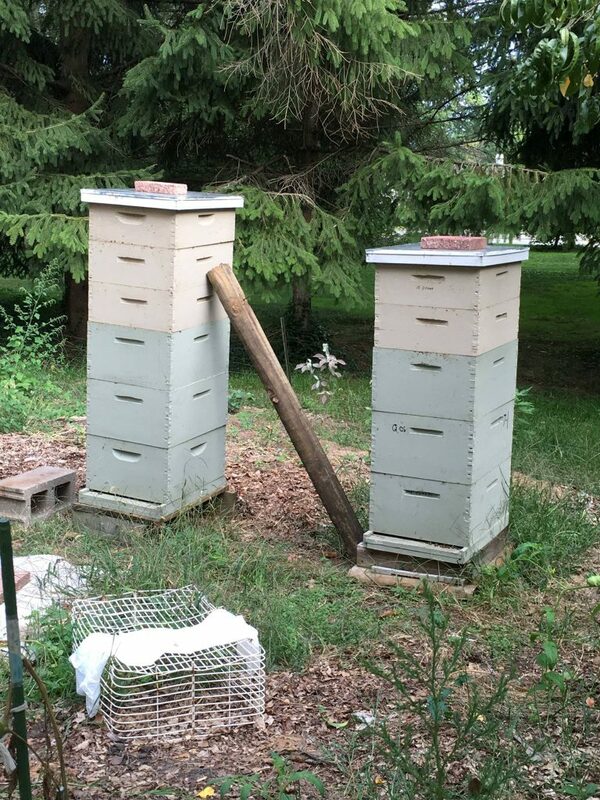 Thus began a journey of discovery that has evolved into a small time beekeeping operation with 16 hives scattered over 7 locations around the Michiana area. 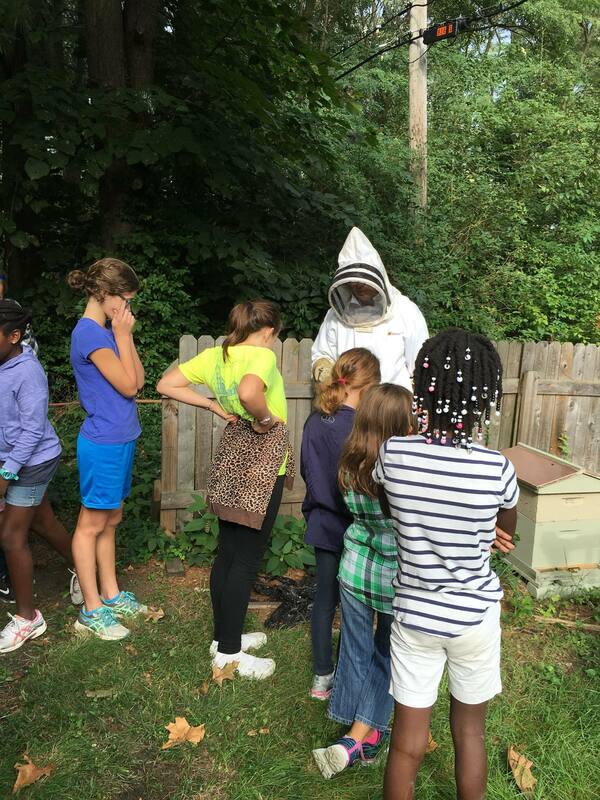 The girls, who were there to learn about beekeeping, were enrapt as Mr. Peterson explained in great detail the life of a hive: what the three main types of bees are who work together to maintain the hive, how they build honeycomb, how they raise offspring, how they forage for pollen, and how they store up food for the winter (which we benefit from). They were alternately terrified and amazed when he, dressed in full, white protective garb, opened a hive and pulled out a tray of honeycomb that was covered in massive clumps of bees busily going about the business of making honey. 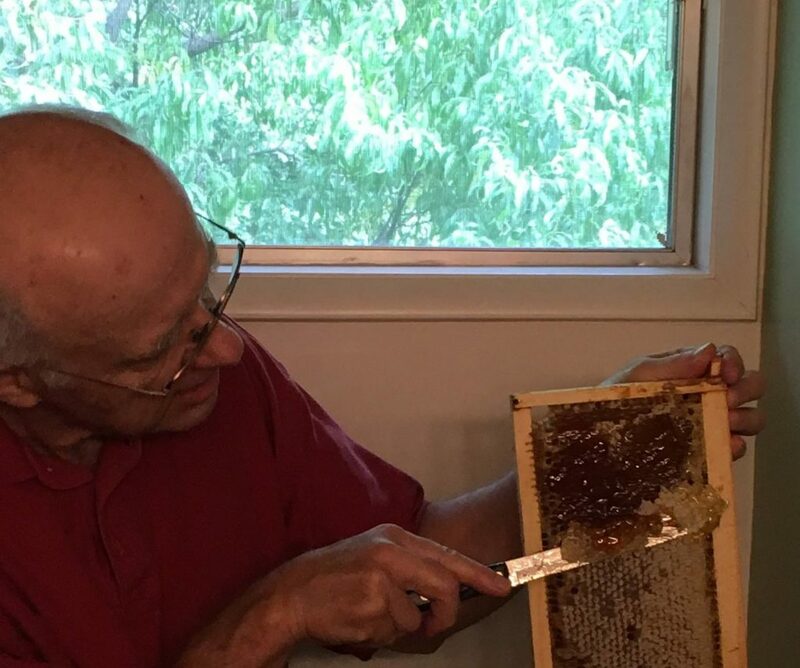 Back inside his house, they clustered (like bees) around Mr. Peterson as he carefully sliced the outer layer of wax off of a honeycomb, squealing in delight as the honey began to ooze out, and, chanting, counted the number of cranks of the handle it took him to extract the honey using his beekeeper’s centrifuge. As I watched the girls and felt their excitement, I was moved almost to tears, but I was not immediately aware of why. Was it that this is the kind of thing I tend to care about: people, like Ken, acquiring important, basic skills and knowledge that humans have relied on for millennia (but that have been nearly lost in the modern world) and exposing kids to that knowledge and those skills? My instincts told me there was something deeper going on. 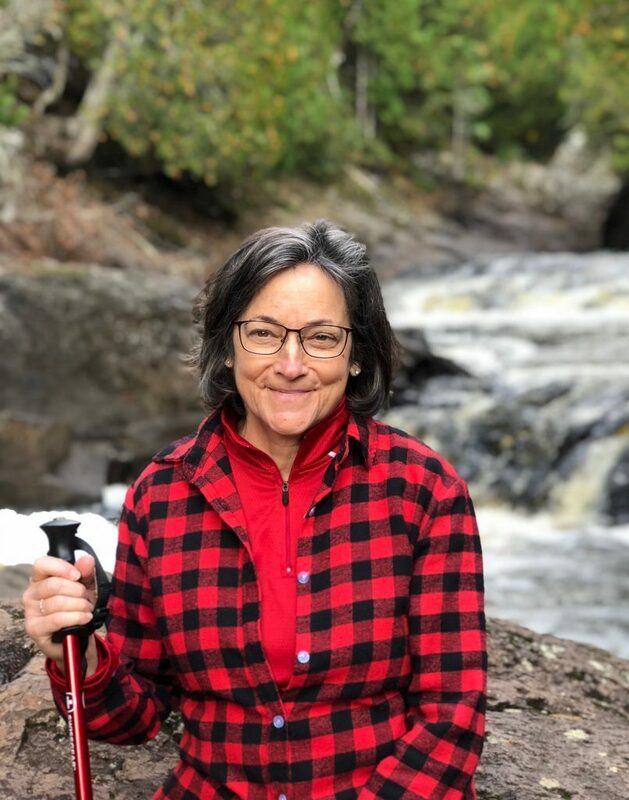 After a lot of thought and reflection, I realized that as I experienced Ken’s delight in his bees and watched the girls entering into his delight, I was witnessing the Lord delighting in and caring for his creation through Ken. And the thought came to me, this is a holy occupation.